(NC) Small adjustments to everyday items you rarely think about can create a big impact. Try these easy, chic ideas the next time you’re looking for a weekend project. Fresh furniture. Use white or light-coloured furniture to open up any space. Think cream couches and white dressers or side tables. Design experts are loving acrylic furniture right now, so if you’re feeling fashion forward, try it in a coffee table or shelving unit. Seamless window treatments. 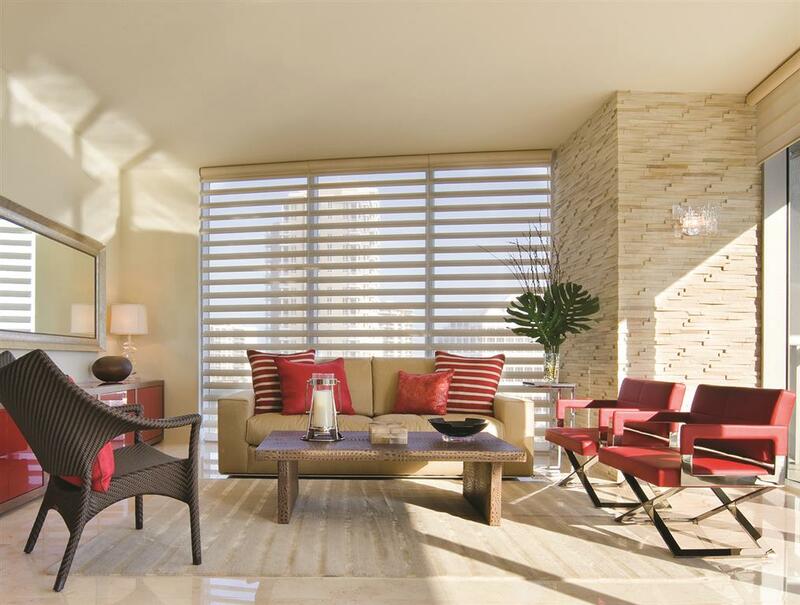 Sleek and streamlined window treatments allow sunlight to stream through without glare. A sheer shade in a natural material like linen is key, which you can find in the Pirouette line from Hunter Douglas. The shadings feature soft fabric vanes attached to a sheer backing that appears to be floating, drawing natural light into your room. Magic mirrors. Fake extra square footage with strategic use of mirrors. A cramped entryway with mirrored closets will double in size, while a decorative mirror in a dark corner will make your space appear bigger and brighter. Metallic finishes in semi-reflective materials, like on-trend copper, are another way to get this look. Bright bulbs. Clean dusty lamps and switch out yellow-tinted bulbs for bright white LEDs in the highest recommended wattage. You can also try “invisible lighting” — clear glass lamps that hang for the ceiling to illuminate without taking up valuable floor space. Curated accessories. Select accents and decorative elements thoughtfully to eliminate visual clutter and create a cheery mood. Artisan pieces like glass-blown vases and handcrafted baskets are sure to make a statement. Paint power. Almost nothing is easier and quicker than using a fresh coat of paint to update a space. Choose pale pastels, which are perfect for spring and summer décor and will keep you calm and cool in warmer months. Don’t think you have to commit to painting a whole room — choose an accent wall to highlight or revive kitchen cabinets to breathe new life into your home. Open shelving. Closed bookcases and shelves darken and break up the flow of a room. Opt for open shelving instead, showcasing pretty items with a nautical or tropical theme for the season.